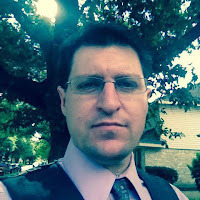 WHAT ABOUT REFORMED BAPTIST COVENANT THEOLOGIANS? Last time, I proved that Presbyterian Covenant Theology is wrong on the Basis of one verse, Gal. 3:15. I told you that the following week, I would show the errors of Reformed Baptist Covenant Theology. That was four months ago. Welcome to the second "week." (Sometimes I get too busy) But without further ado, let's just jump right in shall we? When I cite Galatians 3:15 as proof that the entire Mosaic Code has passed away and become obsolete, the Reformed Baptists cheer. They couldn't agree more. In fact, seeing the Mosaic Covenant as a whole that has passed away entirely is the fundamental basis for the Reformed Baptist view. So, Galatians 3:15 really only destroys the Presbyterian Covenantal position. But in our day, many Baptists have failed to understand the historical and theological nature of CT and thus many Baptists are pretending that they can be both Baptist and Covenental at the same time. The modern day Reformed Baptist will side with the New Covenant theologian and agree with the entire argument from last *week (that the whole of the Mosaic Code has passed away). They will state that God's covenants are unchangeable and Christ came to completely fulfill and abolish the Old Mosaic Covenant. "Hearty agreement must be given when New Covenant theologians argue for the abolition of the Old Covenant. This is clearly the teaching of the Old and New Testaments (see Jeremiah 31:31-32; Second Corinthians 3; Galatians 3, 4; Ephesians 2:14-15; Hebrews 8-10). The whole law of Moses, as it functioned under the Old Covenant, has been abolished, including the Ten Commandments. Not one jot or tittle of the law of Moses functions as the Old Covenant law anymore and to act as if it does constitutes redemptive-historical retreat and neo-Judaizing." Clearly, Barcellos and other Reformed Baptist recognize that Paul's argument from Gal. 3:15 is air tight and not one jot or tittle of the law can still be in force upon Christians. 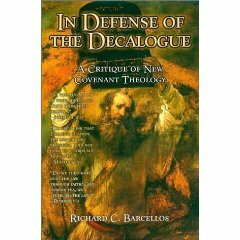 However, Barcellos immediately contradicts himself when he suggests that the Decalogue continues to have "abiding moral validity under the New Covenant." In the eyes of Reformed Baptists, the law is both abolished, and has abiding moral validity at the same time. But this is THE Reformed Baptist Covenant position. The RB takes the law, proclaims that all of it has passed away, and then declares that the Decalogue (the Ten Commandments) "doth for ever bind all... to the obedience thereof" with a "universal and perpetual obligation." 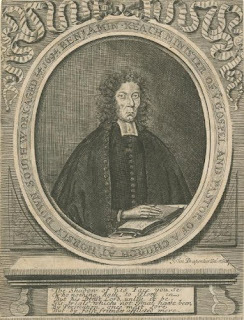 The 1689 London Baptist Confession of Faith, and men like Barcellos who subscribe to it, make a terrible mistake by returning to the law when Christ has set us free from it. What the Reformed Baptists do is almost schizophrenic. The 1689 states, "neither does Christ in the Gospel in any way dissolve, but much strengthen this obligation [the 10 Commandments]." So the Baptist's declare that the ten commandments are "abolished" like Barcellos says above, and the obligation to keep them has been "strengthened." So they are both abolished and strengthened at the exact same time? It sounds strange but I understand the reason for it. Let me explain. Reformed Baptists believe that the Ten Commandments possessed two different characteristics when they were created. First, they were the summation of the Covenant that God made with Moses and the Israelites. Second, they were also God's moral, and timeless commands for the instruction of men. Thus, it makes sense to assert that once the Mosaic Covenant is fulfilled and gone, that that particular characteristic of the law would be "abolished" while the second characteristic (moral instruction) continues on. 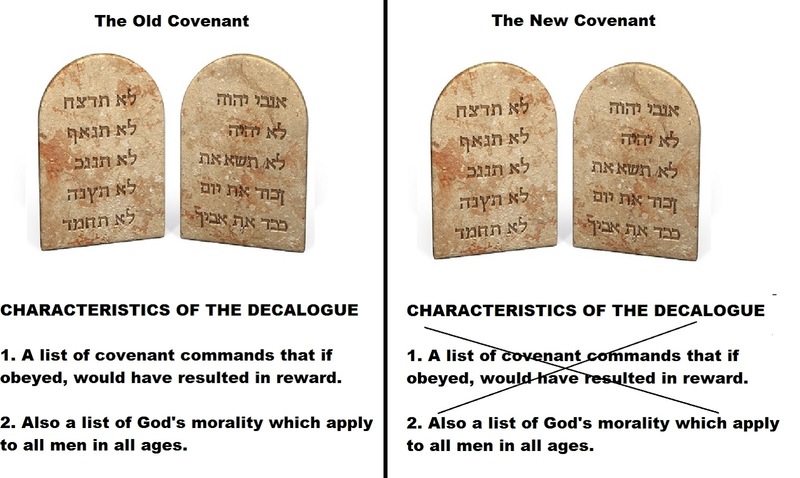 Here's a graphic I made to help see how they understand the Decalogue as both abolished and in force at the same time. In the Old Covenant dispensation, they had two purposes, first as a set of stipulations through which obedience would lead to reward, and second as a guide of morality. Since the Old Covenant is gone, so the promise of blessing for the obedient one is also gone (thankfully, the curses for the one who breaks a command is also gone. Praise God!) But since it also functioned as a guide for morality, they are also still in force. Thus, they are both abolished in one respect and untouched in another. It makes sense. There is however a problem with this view, and that is that the view perverts the Christian life in regards to "Sabbath" observance. Because the view declares all of the Ten Commandments to be moral guide for Christian living, it must declare that the Sabbath command is moral; when it is clearly not. This perverts the Christian's practice and seeks to place burdens upon believers that God never places upon them. The problems with Sabbath practice are myriad and cannot be addressed in one blog post, or even ten; but at the end of the day the Christian is required to bind upon his back aspects of law that Christ has freed us from. 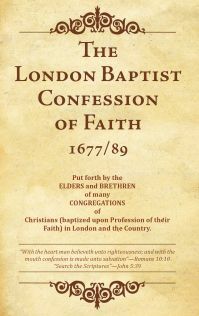 Let's hear it straight from the 1689 London Baptist Confession. "The sabbath is then kept holy unto the Lord, when men, after a due preparing of their hearts, and ordering their common affairs aforehand, do not only observe an holy rest all day, from their own works, words and thoughts, about their worldly employment and recreations, but are also taken up the whole time in the public and private exercises of his worship and in the duties of necessity and mercy." Notice that as a believer, or even non-believer (since the command is universal) you are required to avoid employment on the first day of the week. You are required to avoid "words" about your employment on the first day of the week, and you are required to avoid "thoughts" about your employment on the first day of the week. So no talking or thinking about work on Sunday, thus saith the Lord, apparently. But we're not done yet. Notice that you cannot talk about, think about or do work on Sunday, but you also must avoid, words about recreation, and thoughts about recreation, and you certainly may not partake in recreation on Sunday. Instead, you must be "taken up the whole time in public and private worship" unless there is a duty of necessity or mercy. So no watching your team play football unless it's absolutely necessary, or if it's an act of mercy (which if your a Dallas Cowboys fan, it may be). So you see? There are things that you can do for recreation on every other day, like play a game of basketball, but on Sunday, it is "unlawful" according to the Reformed Baptist view. Next *week, I'll address how the Reformed Baptist's theology is inconsistent when he calls the Sabbath commandment moral and I'll prove that it's a ceremonial law that is no longer binding. *note: The word "week" can be relative when you're too busy for your own good. It may be a month or two... or three or four. Now NCT is a small group of men and women. When my previous pastor wanted to describe how small a group he belonged to he would say, " we could have our conference in a phone booth" and this certainly fits the NCT group. However, the NCT group is growing and I suppose it will continue to grow as more begin to realize the fatal flaw of classic Covenant Theology and are brave enough to call the Reformed confessions into question on some points. Because of the growth of NCT, more and more people are asking questions about what it is and seeking to understand if it really accords with Scripture. This article will seek to answer both of those questions. 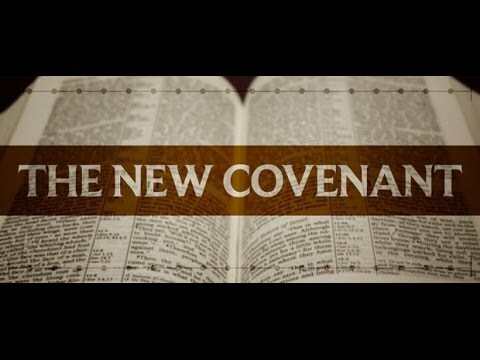 New covenant theology is a theology that sees the Mosaic covenant and law as completely fulfilled, thus having no binding significance on Christians. In other words, NCT says that we are no longer under the 10 Commandments, but we are under the "Law of Christ." This sets NCT out as very distinct because both Baptist and Presbyterian forms of Covenant Theology state that we are in fact under the law of the 10 Commandments. That's New Covenant Theology in a nutshell. CAN NCT BE PROVEN FROM SCRIPTURE? can be proven in one verse does not mean that there is only one verse which affirms it, but rather, it's so plain that it needs only one verse to verify it. In Galatians 3 Paul is answering arguments that the Mosaic Covenant caused the Abrahamic Covenant to change. Paul wants to assure his readers that the Abrahamic Covenant has not been changed by the Mosaic covenant, and he does this by attempting to prove that it is impossible for one of God's covenants to change. So in verse 15 of chapter 3, Paul writes, "to give a human example brothers, even with a man-made covenant, no one annuls it or adds to it once it has been ratified." At first glance, Galatians 3:15 may seem like an insignificant passage but it actually destroys any form of Covenant theology that would seek to divide some of the OT law claiming that some of it has been abolished and some of it continues on fully in force. Paul is arguing in classic Hebrew form knows as "Kal Va'chomer" which is to say, "if the lesser is true, then how much more-so is the greater true?" Jesus did this often as well, remember when he asked his disciples "If you then, who are evil, know how to give good gifts to your children, how much more so will your Father who is in heaven give good things to those who ask?" Notice the progression of logic, if the lesser and weaker is able to do such feats, how much more so is the greater and stronger able to do them? This is exactly what Paul is doing. In Galatians 3 he is attempting to prove that the Abrahamic Covenant was not changed or annulled or altered in any way and he does this by arguing that God's covenants can't ever be altered, period. 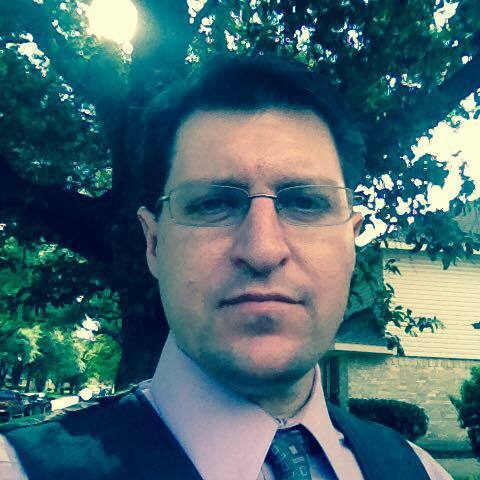 He argues in the classic Hebrew "Kal Va'chomer" style, the lesser to the greater. If a human covenant (the lesser) is unchangeable once it has been established, then how much more so is one of God's covenants (the greater) unchangeable? He just proved that the Abrahamic covenant was not altered or changed by way of Kal Va'chomer. Let's consider what he's saying here. Imagine for a second that you sign a mortgage on a house. 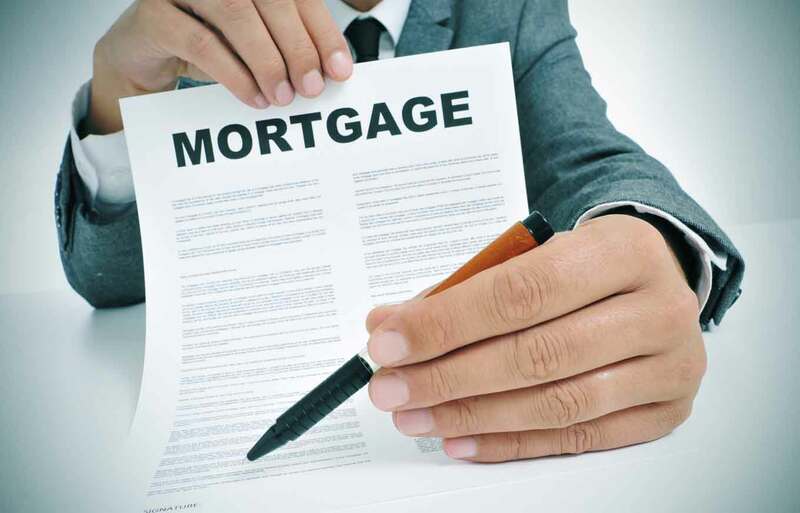 The interest rate is agreed upon, the details of loan amount, monthly payments, penalties, late payment fees, causes for repossession of property, etc. etc. Once you and all other parties sign on the line, you cannot decide that you want to change a part of the agreement. It is impossible to wake up the next morning and decide that you want to annul some of the requirements but keep others; "even with a man made covenant, no one annuls it or adds to it once it has been ratified." Now if you wish to pay off the mortgage by entering into another mortgage agreement, then you can refinance by taking out another loan with the new details that you desire and paying off the old one. But once you pay off the old one, it is fulfilled and is no longer in force, not one single letter of it. This is what Christ did essentially. He paid off the Old Covenant and established a New Covenant. The Covenant theologian must answer the question, "how is it that some Old Covenant laws have been annulled and some have not?" Paul explicitly says that this is impossible with a man made covenant and is even moreso impossible with a Divine covenant. The CT is essentially telling Paul that he is wrong, that parts of God's covenants can be annulled or added to even after they have been ratified. But this is wrong. God's covenants are unchangeable and unalterable once they have been ratified." (Especially since the Old Covenant was ratified with blood Ex. 24). How can one argue that parts of the Mosaic covenant are annulled, (it's now acceptable to sow two different seeds in one field) that some are altered, (the Sabbath day has changed from a 7th day required observance to a 1st day required observance) and that some are still in effect and in force (the other 9 commandments)? This tears Paul's argument to the ground and spits on it. If CT is true, then Galatians 3:15 is not. Paul's erred when he suggested that God's covenants were unchangeable. This is of course the crux of the matter. Either Paul was wrong and God's covenants can be changed and altered even after they are ratified, or the Covenant Theologian is wrong. There is just no way out of it for the Covenant Theologian, he must be right, or Paul must be right, but they cannot both be right. Either God's covenants can be altered or they can't be. I throw my lot in with Paul. I believe that the only way to alter one dot of the Mosaic Covenant is if someone comes along and fulfills it completely (pays off the mortgage). Otherwise, all agreements are still in effect and unchangeable. But isn't this exactly what Jesus said, "not an iota, not a dot, will pass from the Law until all is fulfilled." God's covenants are unchangeable until it's fulfilled, just like man made covenants. And if a man made covenant can't be altered or changed after it's been ratified, then how much more the case with a God made covenant?! Next week, we'll look at how Reformed Baptists approach the covenants and establish their own brand of Covenant Theology. We will examine how they err in identifying our relationship to the law of Moses, how they too fail to grasp the splendid newness of the New Covenant; and how they mistakenly adopt a contradictory hybrid of a Baptist view and a Presbyterian view of Covenant Theology. 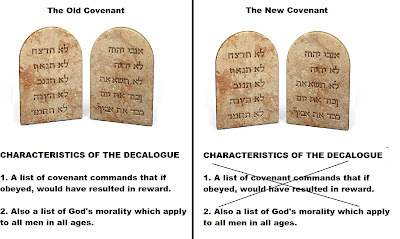 Baptists agree that the whole Old Covenant has been abolished, so how do they explain their return to the 10 Commandments as the summation of all moral law for Christians? The 1689 Confession clearly teaches this, but does Scripture?